Tasneem with her family in Za’atari camp. Zaatari Refugee Camp, Jordan – August 2017: Despite the challenges of living as a refugee in Za’atari camp, a teenage girl has defied all odds through sheer persistence and hard work, and achieved top scores in the Jordanian Tawjihi- General Secondary Education Certificate Examination that qualifies her to register for university. 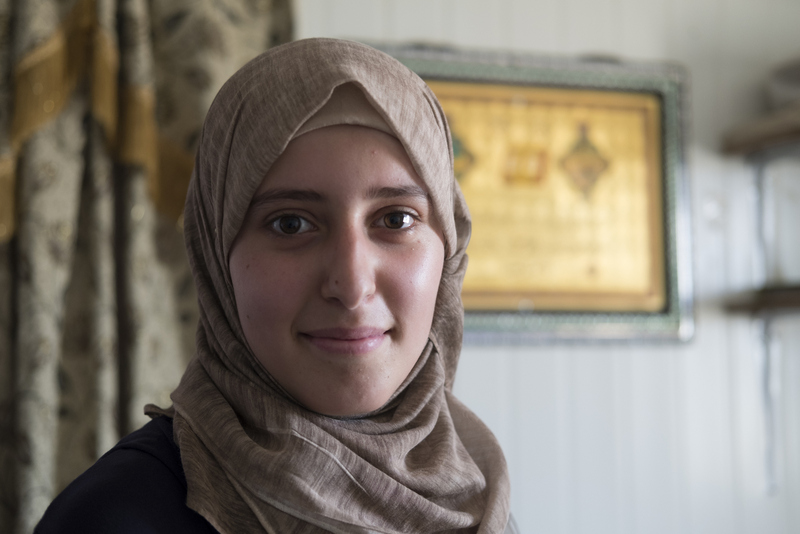 With 86.7 per cent, seventeen year old Tasneem achieved the highest mark among Syrian students in refugee camps and ranks among top ten students in the Mafraq Education Directorate. A total of 66 Syrian girls and boys passed the Tawjihi exams from the Ministry of Education public schools supported by UNICEF with funding from key donors like the European Union, Germany, Norway, UK and the US. “This is the first step towards realising my dream of enrolling in one of Jordan’s public universities,” said Tasneem with a big smile. She aims to study English and translation. 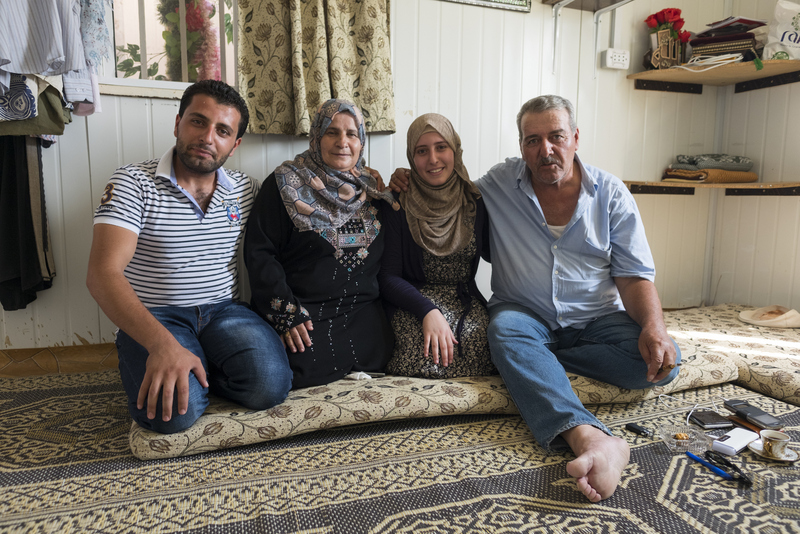 Tasneem arrived in Jordan with her family about four years ago, escaping the conflict in Syria. Despite the hard circumstances and challenges she went through – leaving her home and friends, making the terrifying journey to Jordan – Tasneem was determined to continue her education. “I have not missed any school year, neither in Syria, nor in Jordan,” she said, adding that when she first arrived to Zaatari camp, she was still under shock. And at first she thought that education might not be a priority when you are a refugee, when the most important thing was to survive. Despite challenges of living as refugee, 17 year old Tasneem achieved top scores in her Tawjihi exams and is determined to enroll in university. However, she was able to enrol in school but still could not adjust. “I found the school and everything around me so different,” she said. However, with time, and the continuous encouragement and support from her parents and the school principal, Tasneem adapted to the new school and once again started believing in the power of education to reshape her future. “I am so grateful. Everyone around encouraged and supported me,” she added. Joining a university, even if it is public will not be easy. She needs to pay for tuition, in addition to other expenses that includes text books and transportation, which will be difficult for Tasneem and her family to afford. But Tasneem is full of hope. “I’ve managed to cross the first hurdle, thanks to God, my family, teachers and friends. I will try for a scholarship – hopefully it will all work out with God’s blessing,” she added with a beaming smile.